At some point in your journey to Siena, you'll have a choice to make: live here or elsewhere? First things first. Every student, regardless of where he or she lives, will always feel welcome, safe, respected, and at home on our campus. It's the Siena way. 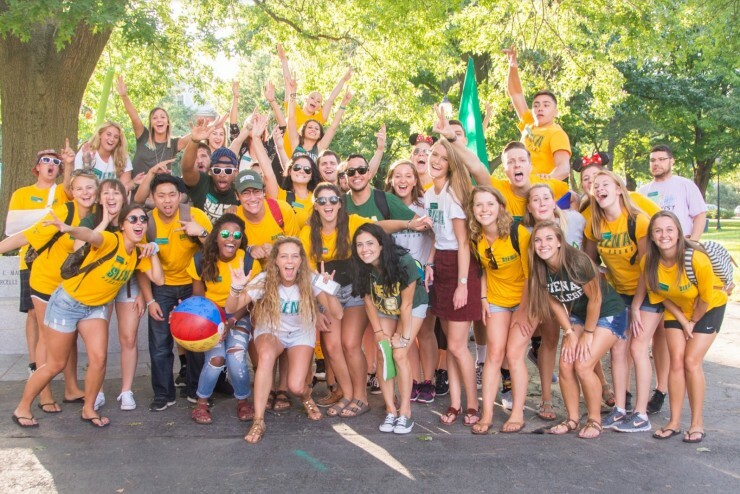 That said, we really believe that living here makes it easier to fully immerse yourself in college life, focus on your studies, and absorb all that Siena has to offer. So if it were up to us, we'd be handing you a key, showing you to your dorm room, and meeting you later for some serious foosball action. The fastest way to meet friends in your first few days as a Saint: the freshman communities in our traditional-style residence halls. The building amenities include: doubles, triples, and quads, with building amenities like lounge spaces, foosball, flat-screen TVs, Ping-Pong and pool tables, laundry areas and more. New choices, more amenities. Second-year Saints gain access to suite-style living, exercise rooms, kitchenettes (goodbye, MicroFridge! ), private bathrooms, and proximity to some of the nicest outdoor spots on campus. Ever heard of Padua Beach? Seniority has its perks. Now's when you can choose between suites or our famed on-campus townhomes—picturesque two-story buildings and bedrooms, living rooms, full kitchens, study areas and laundry facilities. It's as real world as you can get, while still living right on campus. During all the Netflix marathons, late-night pizza sessions, Ping-Pong games, and other res life activities is when bonds are made, laughs are shared, and lasting friendships are formed. Ask any resident student; we'd venture to guess these friendships are priceless. 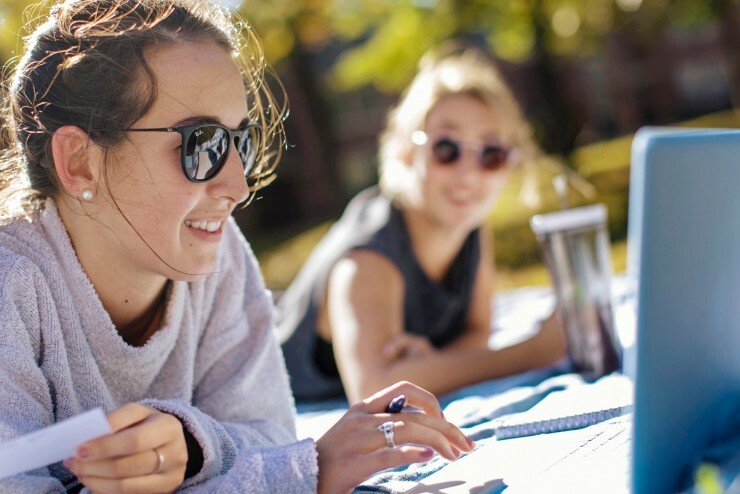 Over 80% of Saints reported that living on campus helps them create a sense of belonging. "I considered commuting, but I decided to live on campus because I wanted to get the full college experience and my parents wanted that for me too. I'm glad we agreed. Being here gives me the opportunity to experience new people and activities."